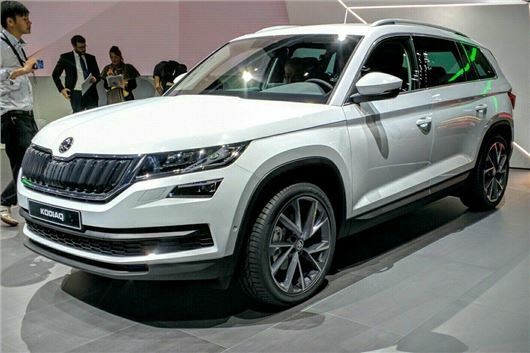 Skoda has officially unveiled its new Kodiaq SUV at the Paris Motor Show. 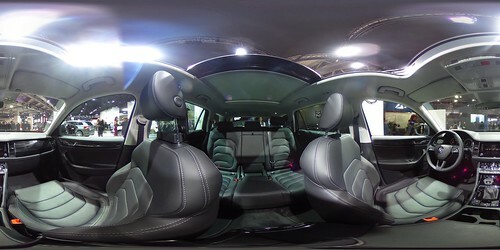 Available as a five- or seven-seater, the new model will go on sale later this year with a list price of around £23,000. Five engine options will be available from launch – two versions of the 2.0-litre diesel and three petrols (two versions of the 1.4-litre and a 2.0-litre). If you’re after a high-performance version, the 240PS twin-turbo diesel from the Passat will arrive later. There may even be a hot vRS version in the pipeline. Although it’s shorter than its Korean rivals like the Hyundai Santa Fe, it’s long wheelbase promises plenty of interior space for occupants and their luggage. With the seats down, the Kodiaq could offer up to 2000-litres of luggage space. There’s no official word on trim and specification levels, but expect Greenline, Sportline, a rugged Scout version and a luxury Lauren & Klement edition. This could be the most expensive Skoda ever made with price tag of £40k.